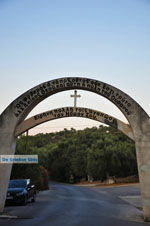 Thermi. 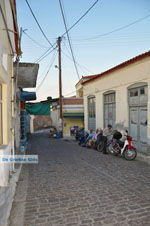 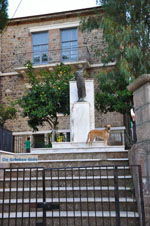 Thérmi is located eight kilometers north of Mytilene, the capital of Lesbos. 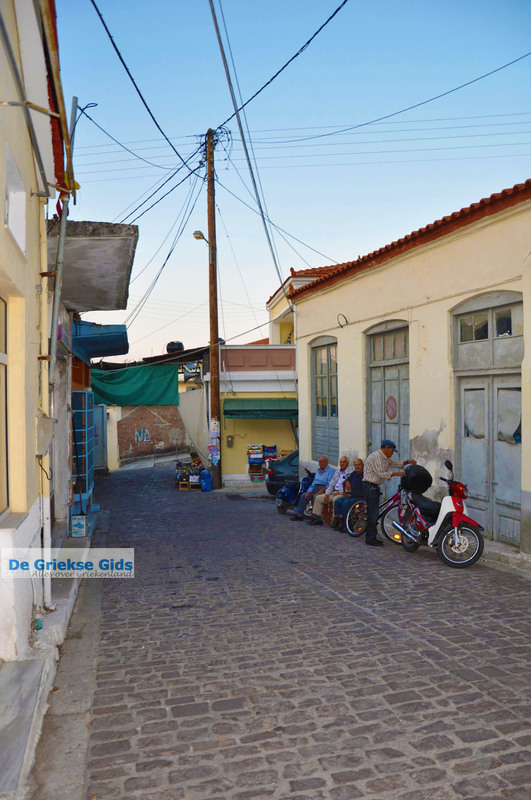 Thermi is a village with cobblestone streets, typical Greek coffee houses, an impressive school which was built in 1931 and a gallery of ancient lilacs that covers the market street. 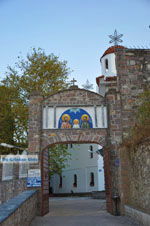 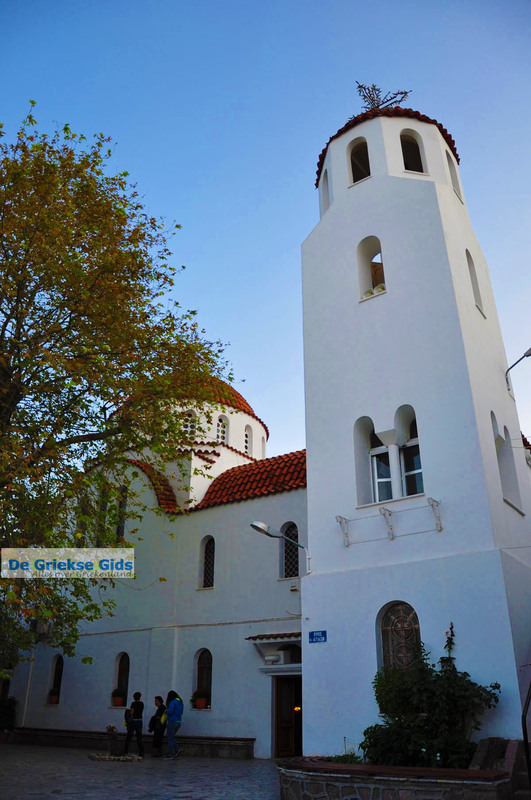 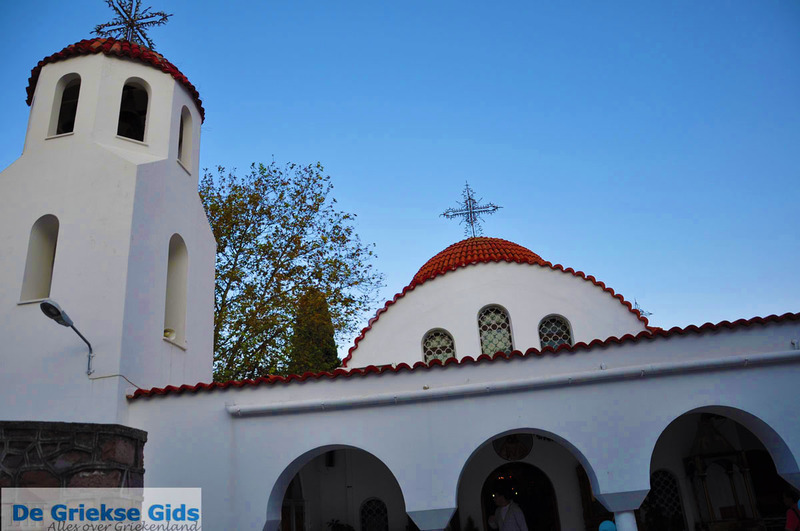 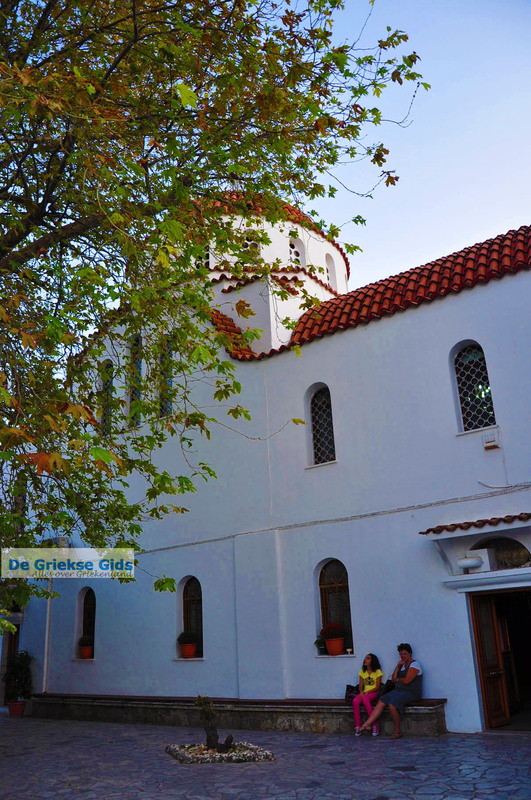 The church of Panagia Trouloti is worth a visit here. 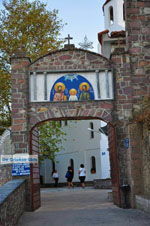 Nearby, built on the green hill of Karion, is the Monastery of the Holy Rafail, which is visited by pilgrims from around the world. 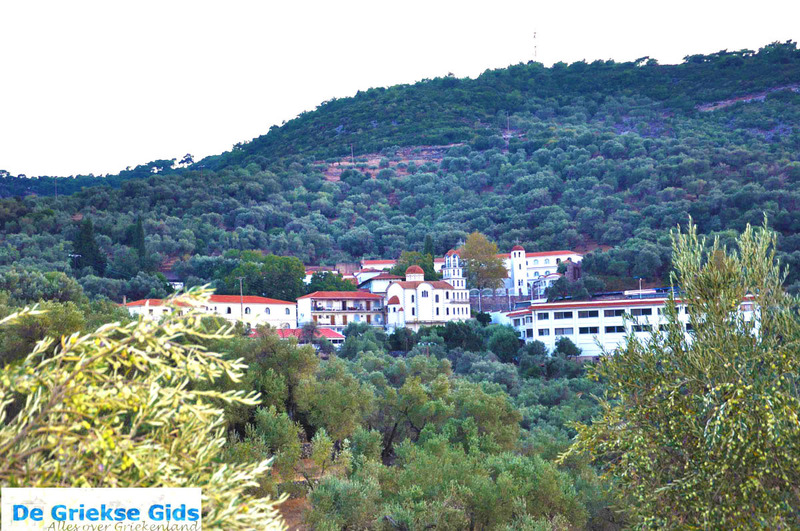 On the coast of Thermi are the thermal baths and the beautiful beach "Kanoni", with several hotels, apartments, tavernas and bars. 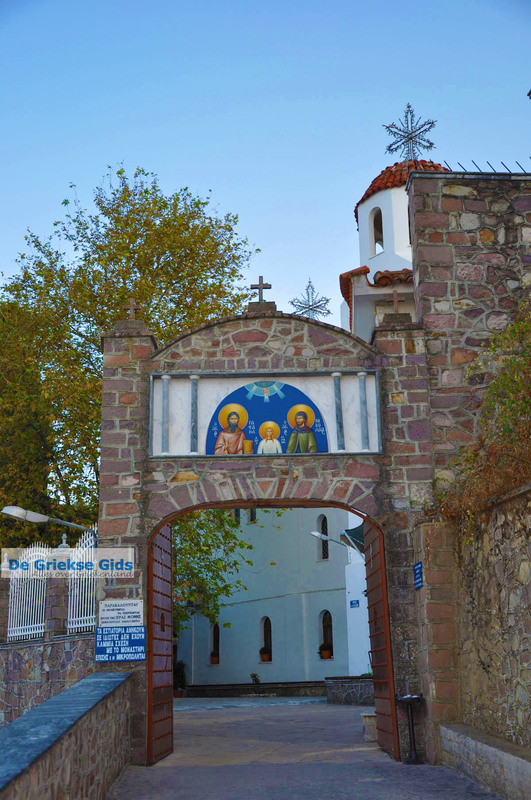 When you leave Thermi and drive through the fields with olive trees, overlooking Turkey, you enter the villages Mystegná and Skala Mystengá with its picturesque fishing harbour. 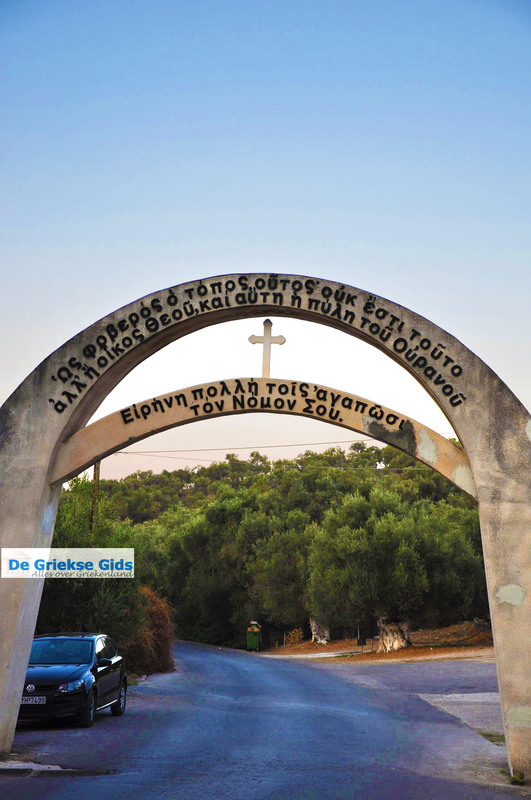 Also, you will pass through Kidonies and Skala Nees Kidonies with its rocky beach. 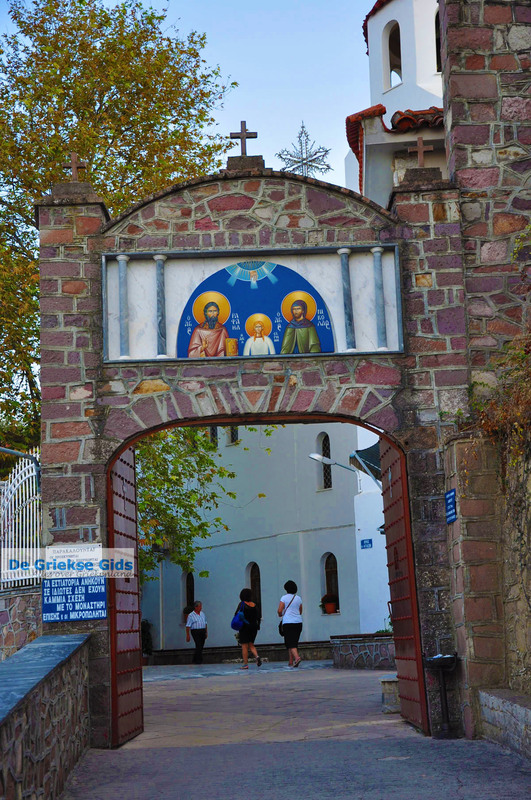 In this environment, the famous Mystegna stone is mined, the characteristic stone of lesbos used in construction, with its pink, maroon, and blue-grey shades. 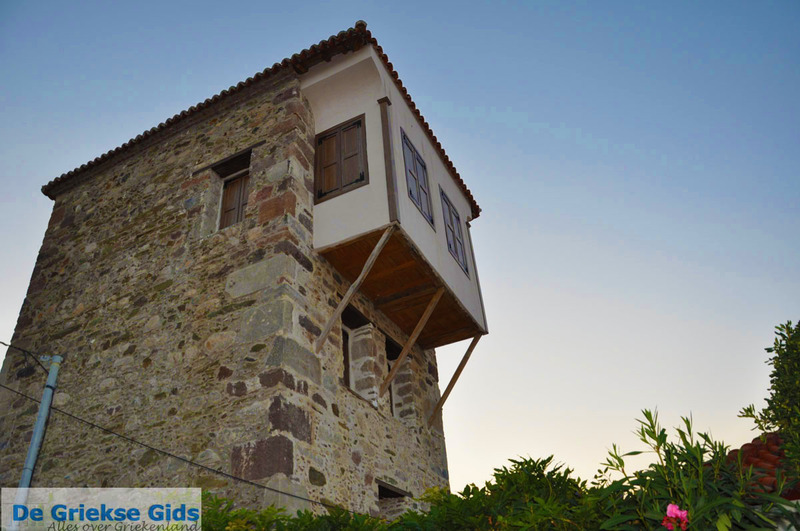 Also located in the municipality of Loutropoli Thermi are the hamlets Komi and Pigi, known because of their feasts. 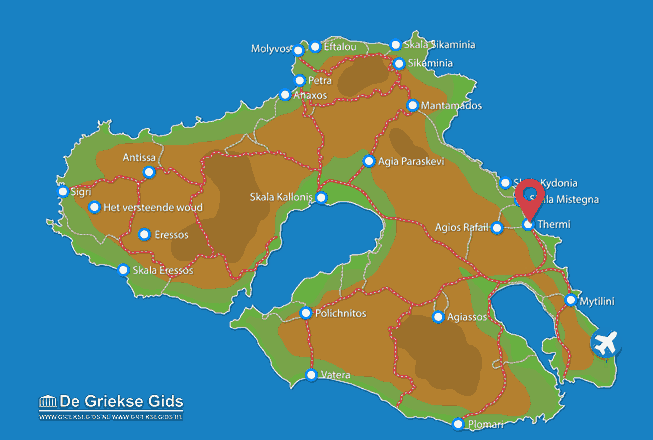 Lesbos: Where on the map is Thermi located?